Cleopatra is one of our great success stories. 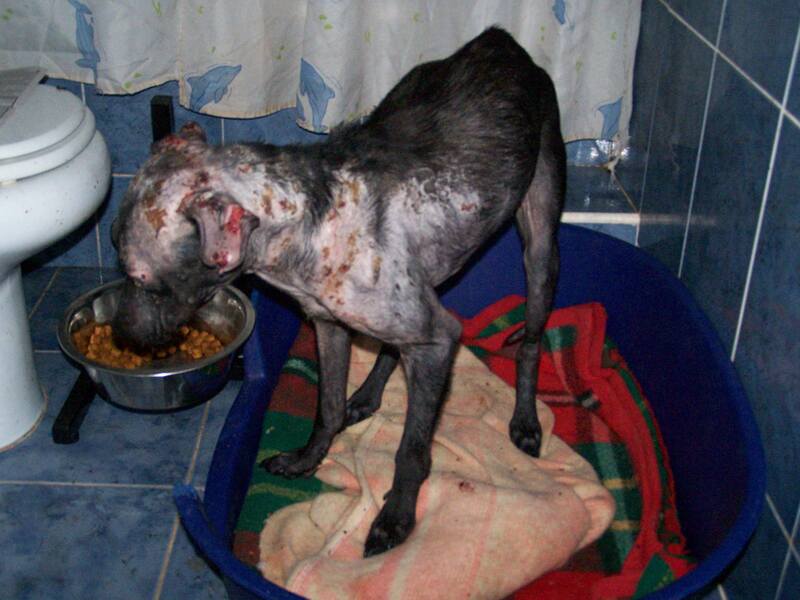 She was found on the side of the road near the shelter, in a truly terrible condition – with untreated leishmaniosis and starving, she could barely walk. In addition, she had a severe allergic reaction to the tick-protection collar we put on her and at one point we thought that, despite all our efforts to save her, she would die. But she survived and then she started to recover. It was a long process but the right care, love and treatment can really make all the difference and they certainly did for Cleopatra. 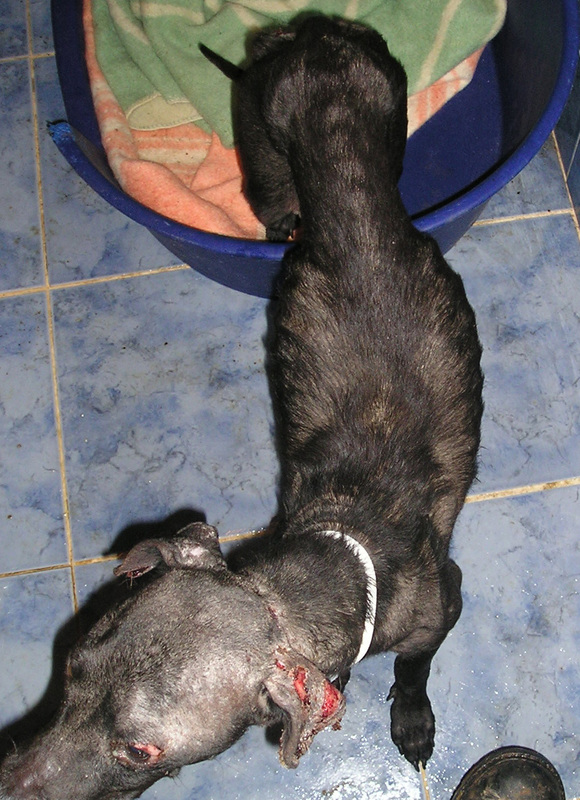 Her wounds healed, she put on weight and she became a beautiful, happy dog. Her transformation was incredible and it wasn’t long before she was adopted. She is now living a wonderful life in the Netherlands. Shelters like ours do make a huge difference to the lives of unwanted and unloved dogs like Cleopatra, but the biggest difference comes when they are adopted into a loving home. 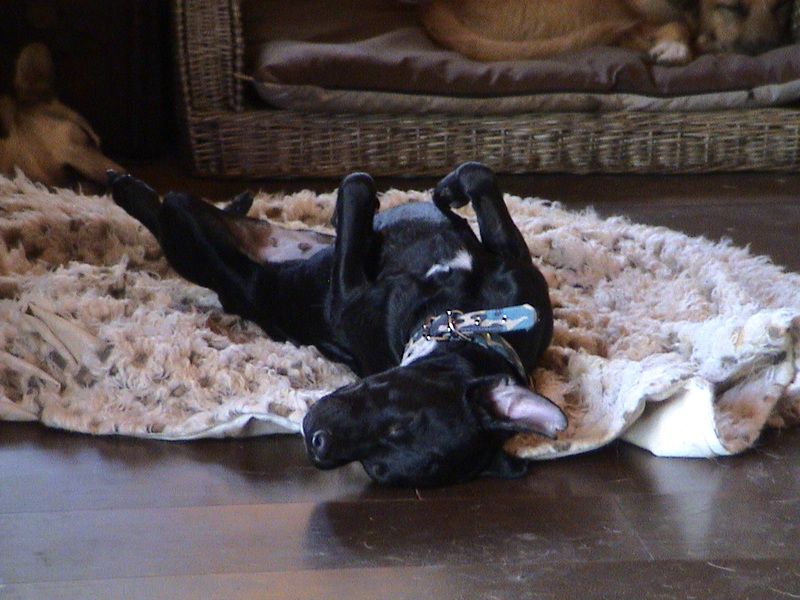 Not all of our dogs have had such a terrible time as Cleopatra did, but they are all equally deserving of adoption. 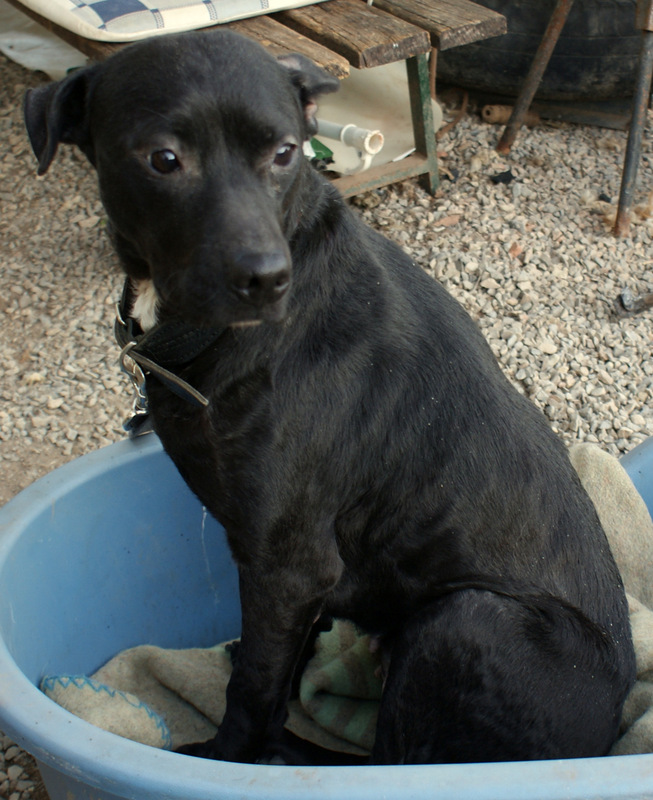 Please consider offering one of them a home, or if that is not possible, making a donation so that we can help more dogs like Cleopatra.